On Monday morning, Adam and I set out for a tour of the largest favela in Brazil (population wise). I really wasn’t sure what to expect. I knew that favelas are areas where the very poor live, for cheap, and that the living standards are exceedingly sub-par. But to be honest, I had little other expectations. Turns out, I found this to be the MOST eye-opening and interesting tour I’ve been on yet. 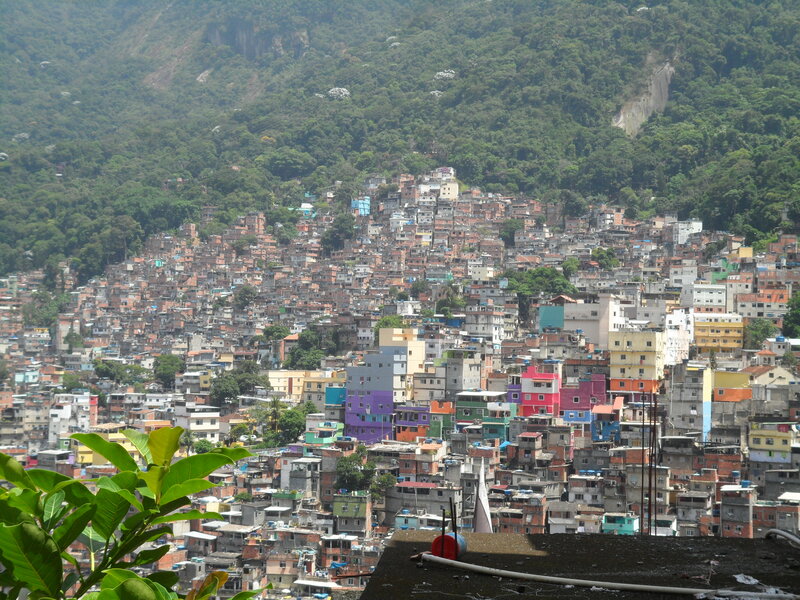 There are over 1300 favelas in Brazil, and a total of 59 million people exist within their borders. 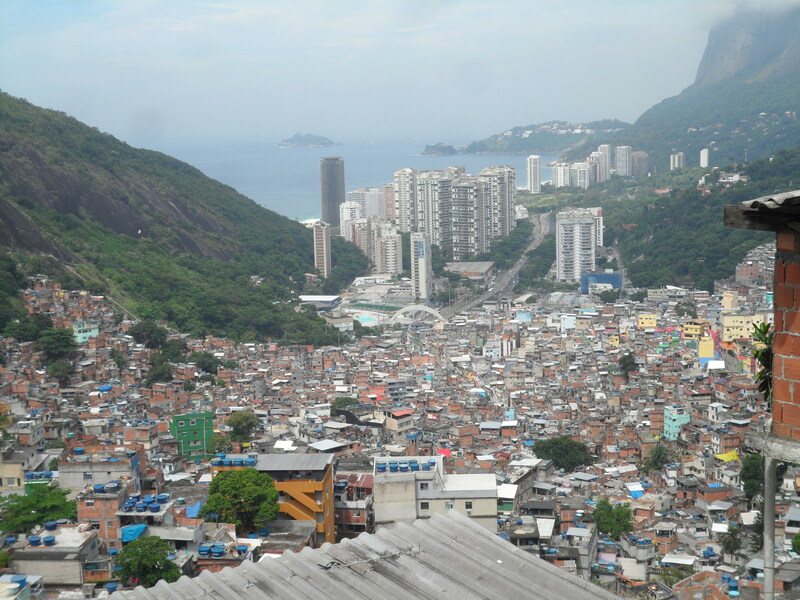 In Rio alone, a little over 10% of the population lives in a favela. Rocinha Favela has a total of 300 000 people, and is considered the largest in all of Brazil as far as numbers… and we were about to explore it. Our tour bus dropped us off at the military base that was stationed at the foot of Rocinha. Our guide told us we would be taking moto-taxis to the top, then slowly walk our way down as a group. Now… for anyone who knows my history with motorcycles, you would understand that this was already a terrifying experience for me. Why I choose to only ride sketchy motorcycles in countries that have zero traffic laws is beyond me; but here I was, on the back of a motorcycle, with a random local, speeding through the windy streets, barely avoiding buses and pedestrians, taking me deeper into the most dangerous neighborhood in the city. The streets were overcrowded and the shops were simple and cheap, yet I found it very interesting watching the bustling life as it went by. When we arrived at the top, I assumed we would take the same route down and learn the history of the area along the way. Yes, the place was clearly an over-crowded, dodgy neighborhood, and yes I was still excited to hear about the tour, but, I had no idea what I was in for. Our guide congratulated us all for not dying on the motorcycles on the way up. Hooray! Then she told us we were not, by any means, allowed to take our cameras out for the first part of the tour. Once we got IN to the favela we were free to do as we pleased, but the people here wished to remain anonymous; if their photos were taken at an entrance or an exit to a favela path, it would make it easier for the military to track them down. First of all, I already thought we WERE in the favela. Secondly, the reason no one wanted to be identified, was that the majority of favela folk are either drug dealers, or into some kind of illegal activity; and so, our guide also warned us not to take any photos of people with guns, or bombs that we saw along the way. Well this sounds safe! 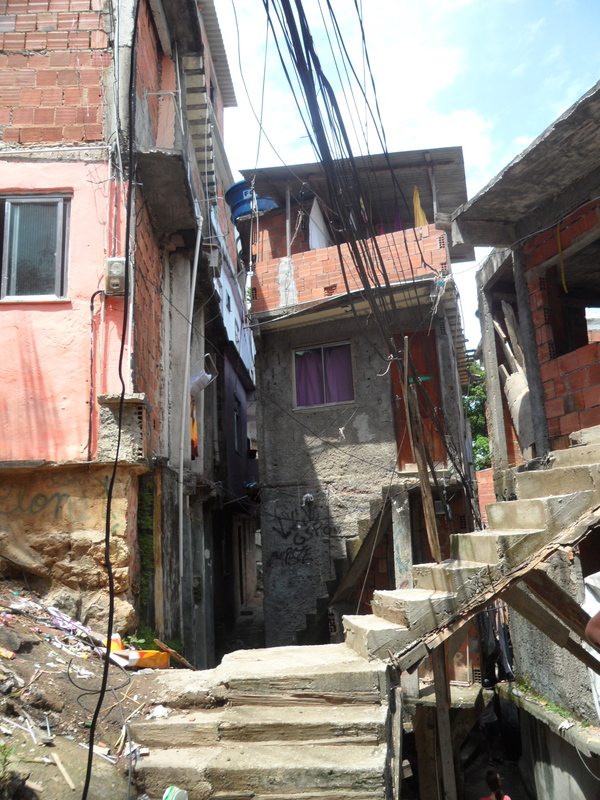 Apparently, the section of road that we drove through was considered the VIP area of the favela. The fact that there was a ROAD, with CARS on it was a major hint. This area has cheap restaurants, some stores, and even a fast food chain called “Bob’s Burgers”. So we walked about a half block down the street, before we turned down a side street and ended up on our first path. This was no street really; it was hardly a sidewalk if you really think about it. It was a path, partially paved (and those parts were NEVER even) just a few feet wide, that led us deep into the neighborhood. Now, I know I will never be able to give the place justice as far as a description, because the place is unlike anything I’ve ever seen, but I’ll try. The path wound its way between large concrete structures that are considered “homes”. The families that live there normally build these homes by hand. The problem with Rochina is that it is sandwiched between a giant mountain and the Tijuca forest; and so, there is no more room to expand outwards. Thus, the place has begun to work its way upward. For example, the higher your property, the better your position in the favela. 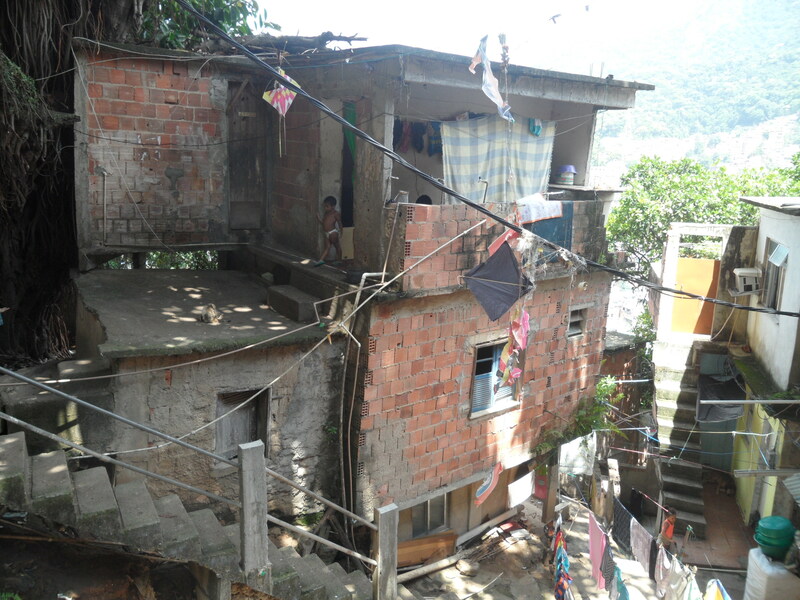 Rent at the base of the hill (the entire favela is positioned on a hill) goes for about 100 reais/month ($60). At the top, the same building is 700+ reais/month. For some perspective, the average family income is 900 reais/month: HOWEVER, if you can find a place to build your own home, you are free do to so, since the land is centered on a first come, first serve basis. Thus, someone will build a home, then, they will sell their roof to another man, and he will build his home on top of the first, then that second man will sell his roof to another man, and so on, until the building has 4 or 5 levels of families living in it. Utter chaos! And these homes are made of anything!! Concrete, tin, cardboard, you name it, it’s probably fashioned into a wall somewhere in Rocinha! In addition, no family pays for any kind of cable, Internet, or electricity. They do their own wiring of the house and street, and manage to rig the power meter to say zero. The government has given up on taxing them, and has consequently raised the rest of the population’s taxes to make up for the billions and billions of lost dollars. Another thing you should know about favelas is the families. On average, there are 7 or 8 children per household. Then, each of those children, start having their own kids at 12, 13, or 14 years old. We met a man there who was 28 years old and already had 2 grandchildren! Each of the children grow up with dreams of becoming famous movie stars, or dancers, but in reality, 9 out of 10 will remain jobless and living in favelas their entire lives. 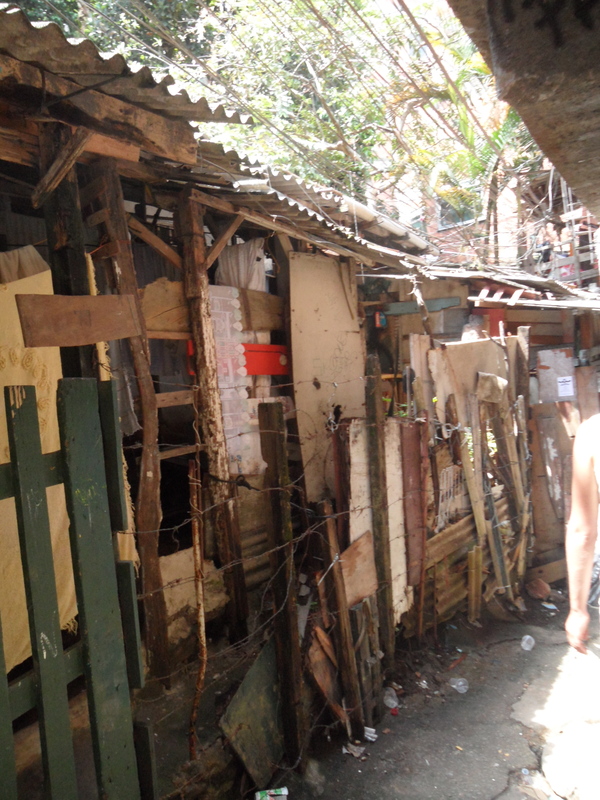 Anyways, we began to walk along the narrow path of the favela. The sidewalk wass covered with thick bundles of low hanging, rigged electricity wires; the houses looked outrageously unstable as they teetered on makeshift stilts and were plastered together with uneven, and clearly homemade, concrete jobs. The piercing sound of 6 or 7 babies screaming was so constant I didn’t even notice it by the time we reached the bottom 2 1/2 hours later. The smells changed every two steps. First, it was baked goods from a random 20ft squared bakery that sat along the side of the path. Then, it was the overwhelming reek of urine. Then it was the smell of garbage, which filled the lower areas, sometimes a couple feet deep, with trash. The sewage and the water systems were mediocre at best, but mostly, all the sewage runs through the streets to the bottom: thus why the lower homes are so much more affordable! The path wound up and down, with mud, garbage, and cracked concrete for what seemed like kilometers. Hundreds, if not thousands of paths led off from the “main route” that we walked. 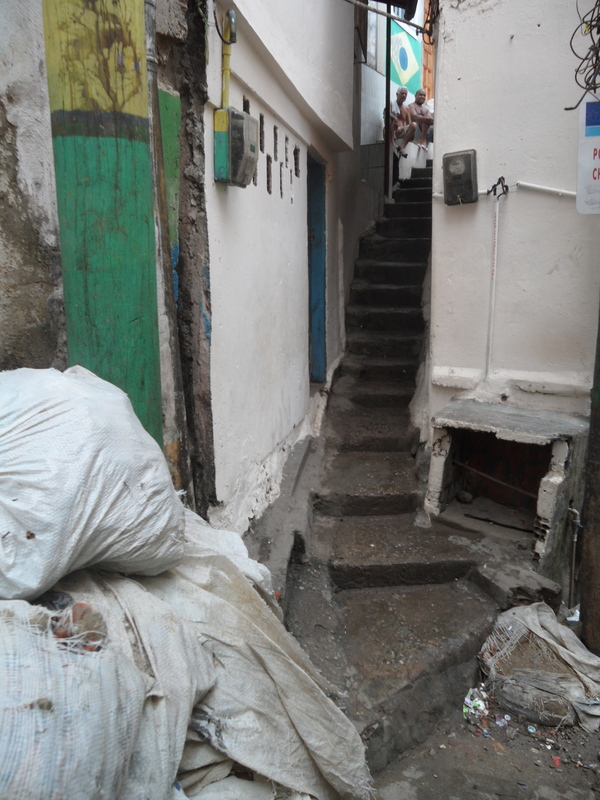 Some paths led to homes directly, others were stairs that continued into deeper crevices of the favela. The place was amaze: nothing was in order, nothing was labeled. It would literally take the knowledge of someone who lived and breathed the favela from birth to understand the complex routes of Rocinha. Yet, almost surprisingly, the people were friendly. Obviously they knew our guide very well, and we were there during the middle of the day, but everyone was just as curious as we were! The kids were happy that random gringos wanted to see their homes. The women making beads to sell on the beach loved to banter and flirt with the white men on the tour, and the bakers on our path were happy to sell us their fresh goods and make a few dollars. Obviously, I would not recommend exploring a favela alone based on how nice the people we met were. 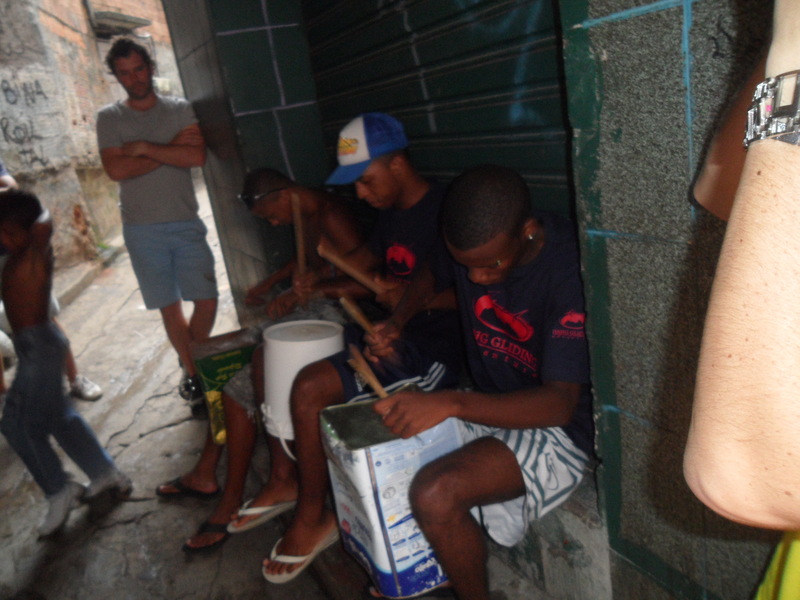 Without a guide, and during the night, a favela would be a very dangerous place. Drug dealers, the very poor, and the people who live day to day in a corrupted community, are the reasons favelas and police are so closely linked. Rio’s police force has been diligently working to clear out drugs and weapons from each of the favelas, one at a time. But having a full-fledged weapons war is a sketchy operation in a tight knit society where only the residents know the roads, and where weapons are around every corner. However, for the upcoming Olympics and World Cup, Rio is trying to clean up its act. The police announce on television, a week before a raid, exactly where and when they will be entering a favela. That gives time for the drug dealers to leave, and avoid any conflicts. Whether this tactic works is hard to judge, but propaganda says it has been beneficial thus far. 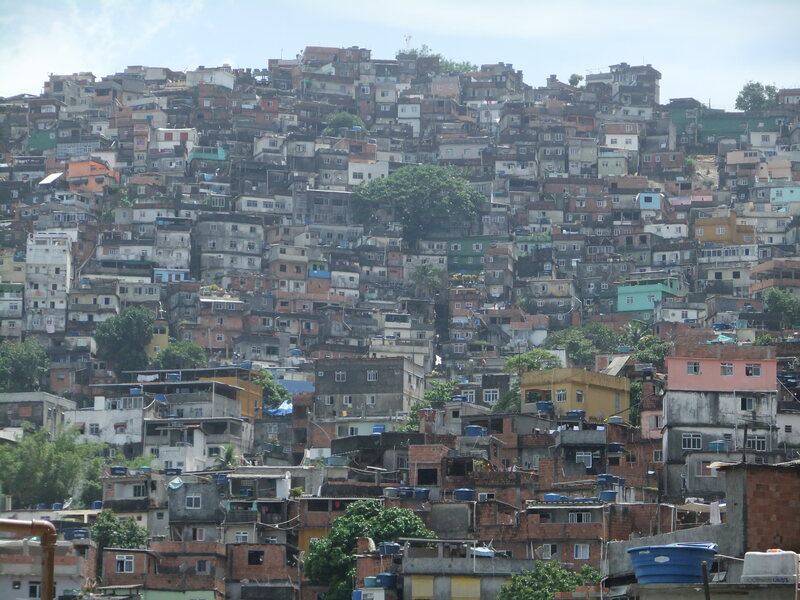 Either way, it looks like favelas are in for the long haul in Brazil. Their way of life is so integrated into society, it would be close to impossible to change their ways. 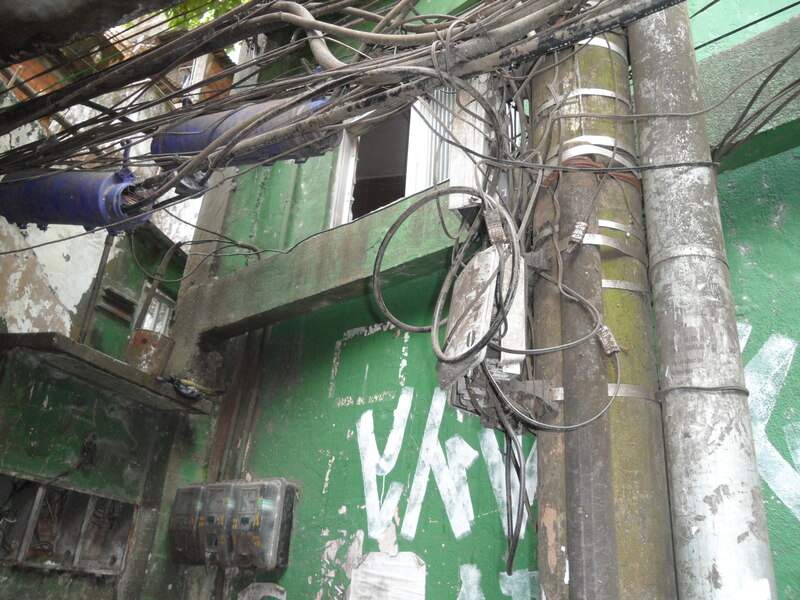 This entry was posted in Brazil, South America and tagged Brazil, Favela, Rio de Janeiro, Rocinha, Travel by hilarylust. Bookmark the permalink. Hey, could you please e-mail me if you get a chance? 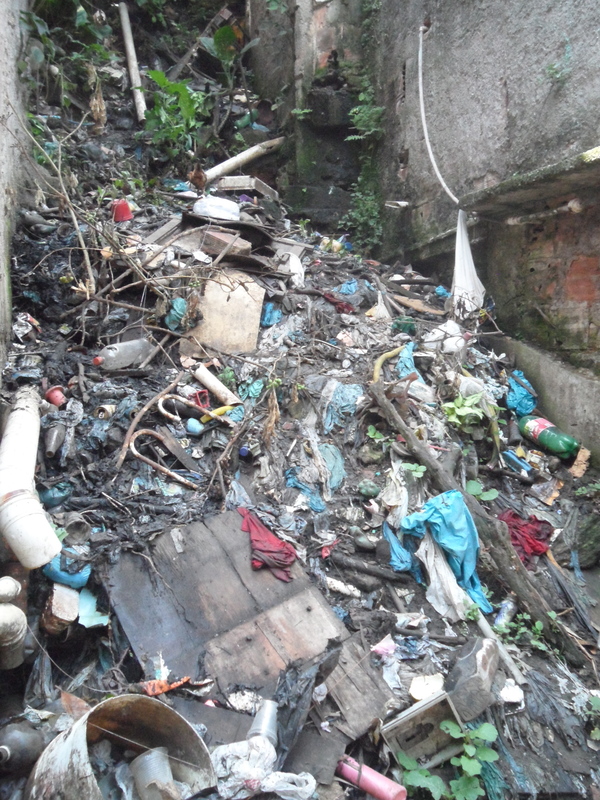 We would love to use some of your photos of trash in Rocinha on our new website. 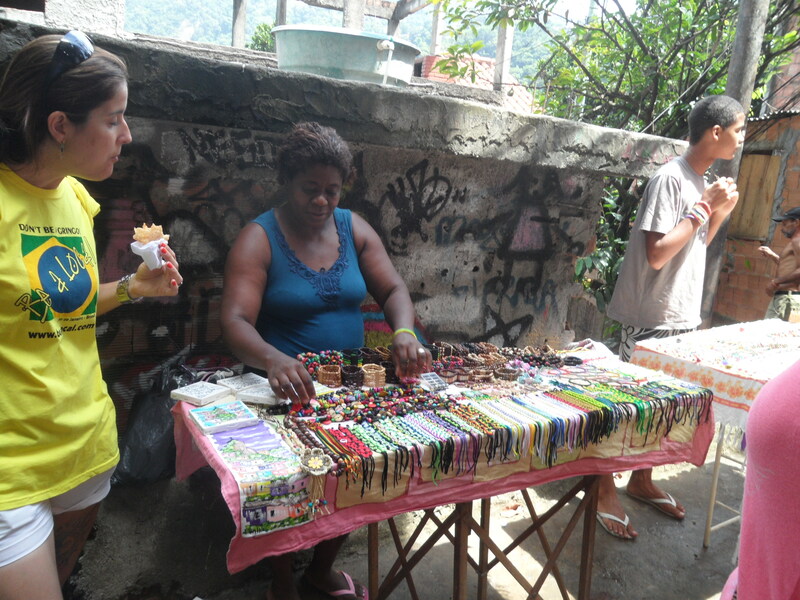 We are an NGO that is working on some marine debris, waste management and education programs in the favela.